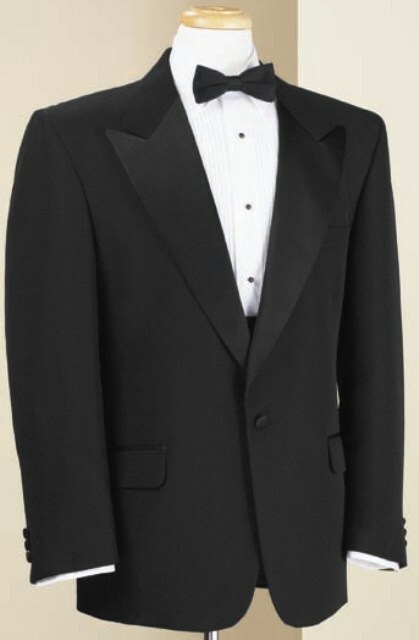 This Classic Black Tuxedo Jacket is styled in polyester gabardine with satin peak lapels, convertible flap pockets with double satin besom trim. Sleeves are telescopic for ease of alteration. Available only in black. Dry clean. 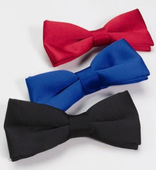 FWO Extra: The Peak Lapel is thought of as a more modern style than its Notch Lapel counterpart. The sleekness of the design lends an aura of youthfulness and contemporary styling without sacrificing comfort. This is especially true if you are looking for a Prom or Wedding Tuxedo.